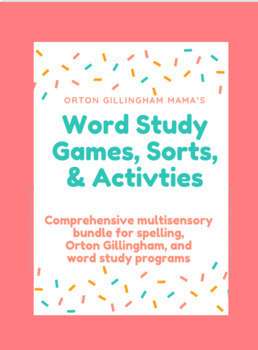 This 143 page set of ready-to-print games, multi-sensory activities and sort-and-spells will take your Word Study to a whole new level! Easy to implement, engaging for your students, and multi-sensory. 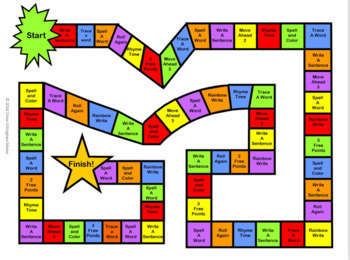 The set includes 100 pages of vowel/phoneme fill-in-the-blank sort-and-spells, 10 printable games, 12 sorts by part of speech, vowel sounds and syllables, sentence-writing, and 4 multi-sensory get-up-and move sorts. This set is the perfect companion resource to Words Their Way and it is aligned with the within word Word Their Way sorts for the current and past editions. 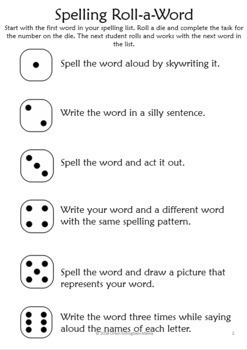 You can also use these with any word study spelling lists and Orton Gillingham lessons. 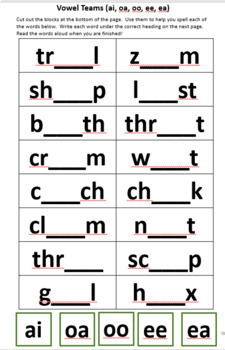 For more practice with these spelling sorts, check out my Word Study and Orton Gillingham No Prep Memory Games that includes 94 memory games!